"Local and competent in all aspects of traditional methods of construction." We work with the traditional lime mortars that pre-1920 properties were originally built with because their breathability and flexibility is integeral to the whole construction of the building. Modern cements and plastics form barriers that trap moisture and encourage condensation, their rigidity causes cracking that allows moisture ingress and they are asthetically very harsh. New work can benefit from the merging of traditional materials to new designs; stone, brick or rendering are visually softer and usually don't require any expansion joints. We can work with you and your surveyor/architect to provide a finished project that blends in with the existing buildings to the pleasure of you and neighbours. 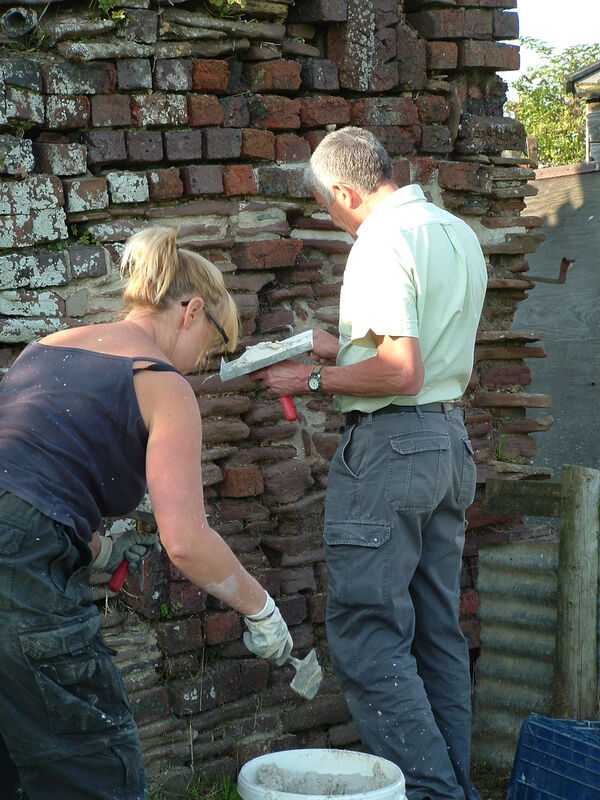 If you wish to know and understand Lime as a building material to use yourself we provide an annual training course in October with practical demonstrations and hands-on workshops. Individual training or on-site advice is available. "Thankyou for a fantastic a fantastic day on Saturday. The course was very interesting, informative and great fun, and the hospitality and food was also fab! I really enjoyed myself and am looking forward to putting it all into practice." We are a member of the Building Limes Forum, a charitable organisation which works internationally to promote research and education, and to encourage expertise and understanding in the use of building limes.